Wow, right? We were floored by how many different species of shells we found on our shelling trip to Guantanamo Bay Cuba. These are only half of the shells we found that are identified, cleaned and photographed but we still have quite a few more to go… like the HELMETS, MUREXES and other types of TRITONS. Thank goodness for the much needed help of Lee, MurexKen and wearing the pages thin of the many shell books I’ve acquired over the years. So to start with the shells that are pictured above, I’ll let you know what they are just in case you have any of these you collected on a vacation to Caribbean waters and want to I.D. them or want to put them on your seashells bucket list. I’m sure the identifications are good because of the help I got but since most of these were firsts for us I would like to correct anything that is dead wrong. Finding HAWK-WING CONCHS was another thrill! We were astounded by how many different growth stages we found in this species. The top three on the left are adults with that nice “wing” but take a look how small the 4 are in the top right corner. They are a different form of the regular HAWK-WING… they are DWARF HAWK-WINGS. And then look at the bottom row… from left to right, you can see the growth of the thick outer lip. I’ve always wanted to find a perfect RETICULATED COWRIE-HELMET! Well, now we have them in every size and wish I could show you close ups of each one and their colors but I have to show you so many other shells. 24 hours in each day is not enough! So many cool shells! We found ATLANTIC GRAY COWRIES but since all of the ones we found were a little beach worn none of them were “gray”… they were yellow. We did find ATLANTIC YELLOW COWRIES… and they aren’t yellow! They are spotted brown. Ha! We both found quite a few MCGINTY’S LATIRUS shells. They look like our candy! There were hundreds of WEST INDIAN TOP SHELLS (I always call them TURBANS) stuck in the rocks but we only chose to bring these six home. We always keep in mind that we have to travel with our shell finds. Yes, we could ship more of them home but we never want to take more than our fair share and we never want to take shells that will be boxed up to sit in a closet and never seen again. On vacation, we always go through our shells at night and pick out the best specimens then take back or give away the shells we replaced. Trust me, it took a few trips to learn this lesson! Oh yaya! And if you know me, you know I love my CARRIER SHELLS! I found FOUR of them! Again, not so pretty but look at the one on the far right… “he’s” carrying around at little “button” shell that he glued to himself. All four collected pieces of shell, CORAL and ROCK . I guess I like them because I can relate to them so much. We both collect shells! The WEST INDIAN CROWN CONCHS were pretty common down there too but it was fun to find the different colors, sizes from smooth to spiny. These sweet little COMMON DOVE SHELLS are less than an inch but soooo beautiful. We found tons of mini shells too! …Like these CHECKERED NERITES. How cute! Now I do wish I had collected all of these shells that I saw because these would look awesome on the inside edge of a shell frame, right? FLAMINGO TONGUES! I like the shell but I think I like the name even better. To make you all feel right at home, these last shells are FIGHTING CONCHS. Don’t they look similar to our FLORIDA FIGHTING CONCHS we find in southwest Florida? But then look a little closer… the spines are a little different and even the colors are somewhat different too. These are WEST INDIAN FIGHTING CONCHS! Later in the week when I can get more done, I will show you the rest of the collection and a few more pictures of Cuba. But remember, these are not just shell from Cuba! Most of these shells can be collected on other islands in the Caribbean. We saw some of the same shells in TURKS AND CAICOS (CLICK HERE) but after getting a taste of some of these other shells, Clark and I are bound and determined to find more places we can find these shells that everybody can travel to. The hunt is 0n! So if you know other islands we can find these, please let us know! Again, THANK YOU Susan and Lee for such an amazing friendship to make this possible for us to share this exshellent adventure! NextThrough The Rain, A Surprise! KEWL shells!!!! Who knew there could be so many different color variations and shapes!!! Thanks for the shell lesson and great pics! The variety of shells you collected in Cuba is just amazing. Many of the shells you collected are rare or not present in the Florida Keys. I am most envious of your shelling adventure. Wow! They are magnificent shells! What a wonderful adventure you had! Every time I look at each pic, I say, oh I like those and then I go to the next pic and say the same thing. I really like the checkered nerites. Please keep us posted on where us “common folk” can find these. Thanks for sharing. I am new to this “real” shelling! My husband and I were” really traveling” and enjoying every minute for the 4 years he and I were retired together! Returned from a trip in Feb. 2011 and he was diagnosed with brain cancer and passed away 7 weeks later at age 64! My life is different now but I was fortunate to find 2 friends to go with me to Sanibel in end of May! I had never seen so many different shells! I love to follow your site and was amazed at the Cuba trip! Thanks for sharing! Also, please do advise about other places, maybe closer! I drove but next time may try to fly closer then rent car to finish trip especially if I am coming alone! Thanks again and happy shelling! Oh, did I mention I had recently had total knee replacement on last trip in May? Finding shells worked better than the pain pills! Ha! Ha! Oh the memories of when I was stationed there in the late “80’s :) I have so many of these shells in my collection. Thank you for sharing your adventure. Magnificent finds! I found my first measled cowrie in Curacao and a few other shells mixed in with coral on the beach in great condition. It is very interesting to see some familiar shells that can be found in Turks & Caicos and ones that are not found there since Cuba is not too far away! Thanks for helping me identify some of my T&C shells! I will have to expand my Caribbean travels to find some of those other shells I don’t have – they are absolutely gorgeous! I am still drooling over them! Common dove shells..now I know what my little miniatures are. :) Great finds!!! What a bunch of beautiful shells!! Was Clark reeling them in as usual? I am so glad you had a great time!! I am waiting for your guided tour, I am ready!! PS: Was your luggage too heavy? Thank you for the identifications of these wonderful shells – oh gosh, I am so jealous but am so happy to cyber shell with you! Very sweet finds Pam , very sweet !!! So glad you & Clark had a shell of a time GBC ! Gotta put that on my bucket list now . But that’s ok , 2 week away from them Sanibel shells YIP-EEEEE ! Thanks for sharing your amazing shelling adventure . 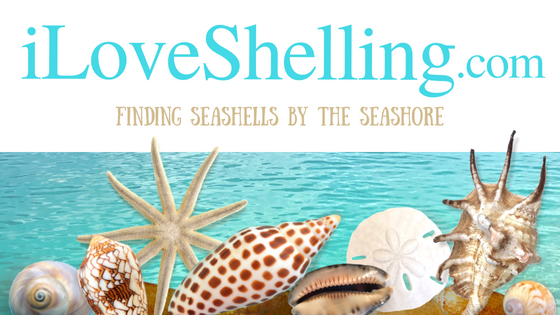 Thank you so much for sharing your shelling adventures with us! These are terrific finds, and I so long to go and find such terrific specimens. I had found some of these on a trip a few years ago in the Mayan Riviera. I took a day by myself and went to Akumal, combing the beach and rocks there – my best shell finds ever! Do you have to get special permission to go to Guantanamo Bay? LOVE those West Indian top shells! The Mcginty’s Latirus looks so much like the horse conch-how can you tell the difference? I know there is location. Are they a relative? I also like the West Indian king crown-plus anything else you found. The Tritons trumpet looks like a family-Papa, Mama and three little ones! Have fun sorting and cleaning-can’t wait for the next installment. Pat, you have a good eye for similar shells. Yes, both the Latirus species and the Florida Horse conchs are members of the Fasciolariidae family, which also includes the tulips and the spindle shells, among others. The Mcginty’s Latirus has some similarities, but many differences from the Florida Horse conch. The Latirus is a heavier (thicker) shell and has a somewhat different shape/sculpture. An adult Mcginty’s Latirus gets up to about three inches in length, whereas an adult Florida Horse conch can reach 18-20 inches. If you saw them together, it would be fairly easy to distinguish them. Hope this helps. I thought Susan found a horse conch at blind pass. ???? Wow, Lee & Susan, Helen & I want to come! Those shells are awesome! Thanks Pam! Wow…literally awesome. Great finds, Pam! Pam, want to go shelling tomorrow…. Blind pass Sanibel or captiva? Lighthouse? Your recommendations? What a treat to see your new finds! The shells are so beautiful! I look forward to your posts each day as living in the desert lets me pretend I am on the beach with you. Looking forward to my next Florida trip in October or sooner. Since they look so much like our baby horse conchs (candy corn) I think we should just call them “Cuban Candy”! I love those West Indian Crown Conchs with the cool stripes! What I love even more is your attitude about taking a few shells and leaving some for others. Good for you! This is a great post. When we were vacationing in Cuba, I found quite of few Checkered Nerites, but never knew what they were until now. Will have to go through my stash and see if I have any others that you have shown here. I too thank you for sharing all your wonderful finds!!! Have you ever listed some of your favorite shell books for sake of identification? I have several but wondered which you feel are most informative? Several I have show beautiful pictures but not so much the dimensions, color, and where found. Know you are busy sorting your treasures right now, but when you have time, would appreciate some suggestions of books. This is beyond awesome… first Thailand and now this….I want to do this!!!! Sherri, There is almost no beach shell collecting in the Florida Keys. Almost all shell collecting is done by snorkeling and scuba diving. As for shell collecting tours in the Keys, there really is nothing like the excursions to north Captiva and/or Cayo Costa. Have you read any of my Trip Advisor Shell Collecting Reports on the Florida Keys from the past three years? The Keys are a 3.5 to 6 hour drive from Sanibel, which would most probably require at least a one night stayover. I am happy to give you any additional information that I can. If you want to send me an email, Pam is welcome to give you my email address. Hope this is helpful. WoW! So amazing! Thanks for sharing! Pam…thanks for identifying the CARIBBEAN VASE shells! I found one on Miami Beach about 5 years ago and never knew what it was and never have seen one again! Murex Ken is right about beach shelling…but we were in Key West 2 years ago and took an all day charter with Captain Victoria. She an older lady (in her 70’s) that has lived there most of her life and is very in touch with all the water there and all the conservation efforts. She will take you way out into the Atlantic, give you all the history, and then “teach” you how to snorkle if you never have. She was a wonderful, patient teacher. We could have spent our whole week with her on the water. I also gave her 3 shells on my bucket list and she knew exactly where to boat to and then we snorkled for them. We found hawk wing conchs, queen’s helmets, and queen conchs. It was amazing. Find her at http://www.captainvictoria.com She will have dolphins play around you…take you to mangroves and fish mating areas…whatever you want. Worth every penny and then some! You are welcome! Isn’t it so much fun finally figuring out what you have? Glad to help… and thank you for your info as well about Captain Victoria. Ooooh, gorgeous finds and a fantastic trip! I’d love to do that one day. SO GORGEOUS!!!!! I especially love those Glories. I will now try to talk my family into going there next vacation. God bless you and yours, Pam. p.s. : how’s the fishing over there? I found a small, about 3/4 inch, hard grayish ball with what looks like this mark * on one side. Do you know what it is? Pam, great shells! I am going to Cuba in 2 weeks time. I wonder if one needs a special permit from Cuban customs to take shells abroad? I’ve heard from some sources that it is forbidden to take Cuban shells abroad and from others that you can only take up to 3 big shells.